Caydon for approximately $38 million. 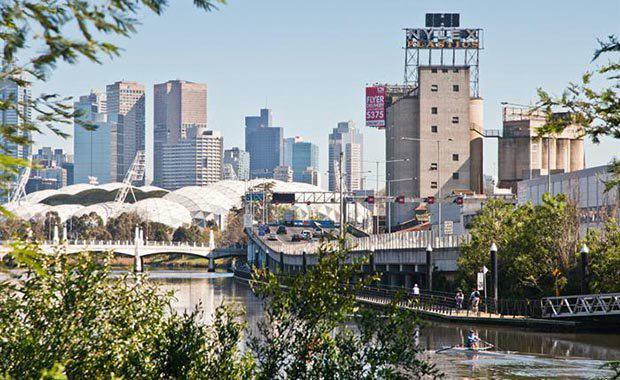 Caydon, owned by Joe Russo, will commence working with the City of Yarra and the community to develop a mixed-use development worth $600 million. The transaction of the Richmond Malt at 2-8 Gough Street, was handled by Colliers International’s Jeremy Gruzewski and Peter Bremner. The iconic Nylex sign, visible from many parts of Melbourne, will stay the focal point of the redevelopment. Mr Gruzewski said the sales campaign was highly competitive with national and overseas interest. “It was the local buyers, however, who understood the complexities of the site and most appreciated the benefits it had to offer,” Mr Grusewski said. “The history of the site also had a great deal of significance to the local contingent of purchasers. “It is great to see local buyers back in the market, and this re-emergence is something we are likely to continue to see going forward into 2015." Mr Grusewski said Richard Mizgala and Power Investments bought the property through Colliers International in 2004, and as part of their investment strategy, are happy to see it now transition into the next stage of its life with a new owner. The sale of the Richmond Malt represents one of Melbourne’s most significant redevelopment opportunities in recent years. The site, approximately 11,340 square metres, has multiple street frontages and is designated as the gateway to the Cremorne precinct. The site is in close proximity to The Yarra River, Melbourne’s CBD, parklands and a world famous sporting precinct. The property is essentially an island site, and its physical location allows for uninterrupted views to all these areas. “Established at a time in history when Melbourne’s rich and colourful personality was being defined, The Richmond Malt remains a major Melbourne icon,” Mr Bremner said.